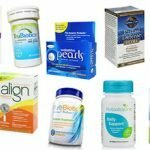 Detailed review of Probiotic America Perfect Biotics. See how this probiotic supplement compares against all the others! 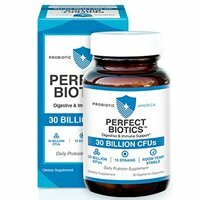 Overall, at 3 out of 5 stars, Probiotic America Perfect Biotics is a good but not great probiotic. You only have to take one capsule a day (preferably with a meal), so it’s nice and easy. The probiotic is really convenient because it’s stable at room temperature and doesn’t need to be refrigerated. The capsules themselves have a cell count (30 billion) that’s probably too high for daily use but may be fine for a short-term, specific ailment. 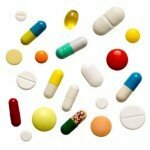 More doesn’t always mean better when it comes to CFU counts in probiotic supplements! I do like the strain diversity which is at 15. What I don’t like about Perfect Biotics is that the live probiotic cells are only guaranteed at the time of manufacture and the price tag is extremely high. $69.95 for a month’s worth of probiotics is extremely pricey. Overall, I like the convenience and potency of this probiotic even though it’s ridiculously expensive versus your average probiotic supplement. Probiotic America Perfect Biotics has 30 billion live cells within 15 different probiotic strains. Of note, I really like the use of Lactobacillus acidophilus. This strain has been researched to show possible benefits with reducing the symptoms associated with inflammatory bowel conditions such as Irritable Bowel Syndrome (IBS). Lactobacillus acidophilus may help relieve painful constipation, bloating, and gas. This strain has also been shown to potentially stop the growth of too much harmful bacteria in the body. I also like the addition of Bifidobacterium longum in the probiotic line up. This probiotic strain has been shown to help boost the immune system. In turn, it may help fight off the common cold and even possibly respiratory infections or the flu. Bifidobacterium longum has anti-inflammatory properties that help with belly trouble and with reducing the development of some allergies. This strain may also help prevent cholesterol levels from getting elevated. Probiotic America Perfect Biotics does really well in regards to allergy concerns. The capsules are lactose free, gluten free, and soy free. As a perk, the capsules are vegetarian. The only thing that may be an issue is that it does contain RICE, in the form of rice maltodextrin. The other ingredients include: anhydrous dextrose, vegetable cellulose and stearic acid. For a 30 capsule bottle, it costs $69.95. When you break it down to a daily cost, it ends up being $2.33 per day. That’s very expensive any way you slice it. Unfortunately, I did experience some side effects while taking Probiotic America Perfect Biotics. During the first 2 – 3 days, I had a sensitive stomach and some belly pain. I believe this may be due to the high cell and strain count. If you have a sensitive stomach to begin with, just ease into this particular product. After the first few days, I was good to go from there and felt good. Perfect Biotics has an awesome satisfaction guarantee. They offer a 90-day, 100% money back guarantee. 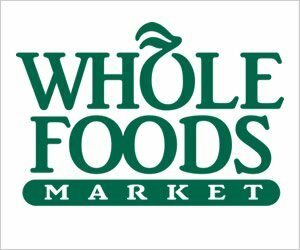 If you try it and aren’t happy with the results, you can return the product (even empty bottles) and get a full refund. I love that they have this guarantee for their customers. 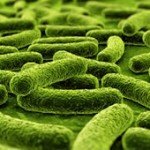 To buy Probiotic America Perfect Biotics, click here. Allergy Concerns No allergy concerns other than rice maltodextrin. Side Effects I did get belly pain while first taking the capsules.